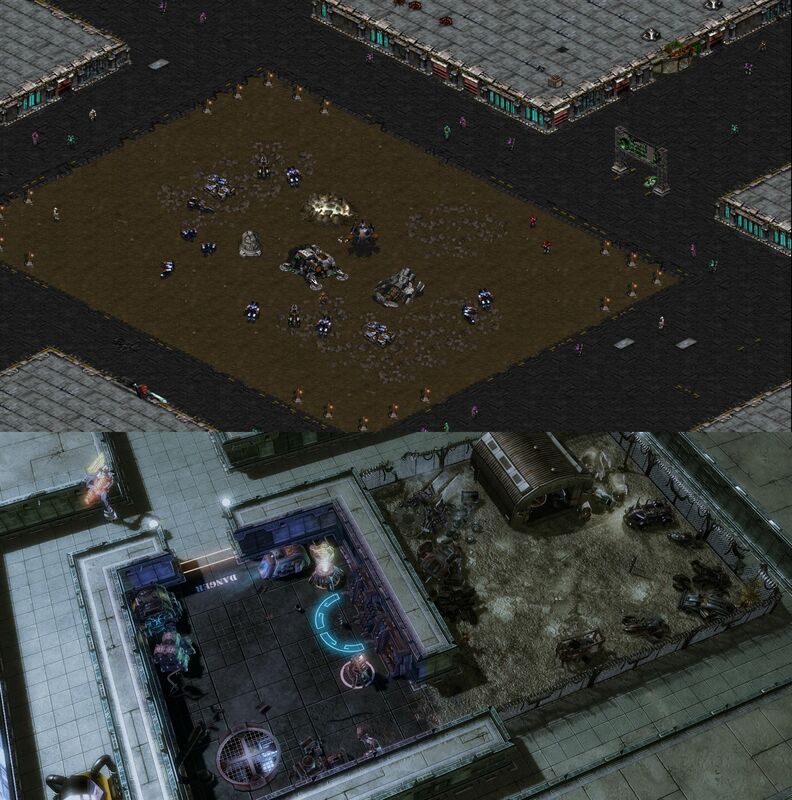 Download the zip file containing maps and the mod at http://www.sc2mapster.com/maps/antioch-chronicles-remastered/files/ . 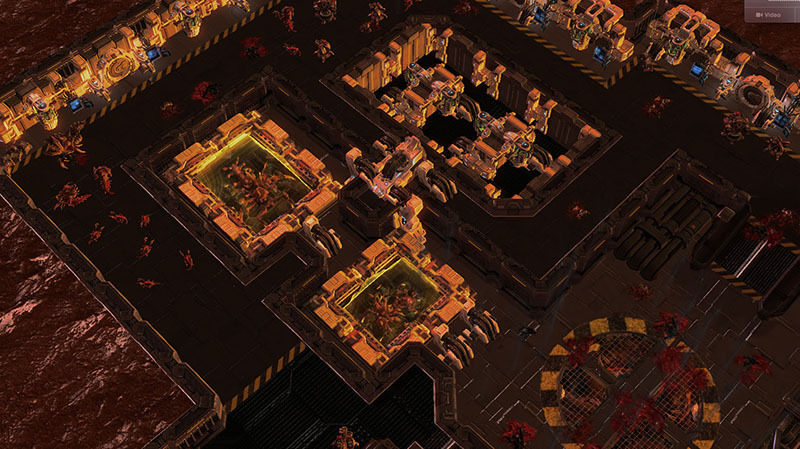 Place the Antioch Remastered directory in your StarCraft 2/Maps folder. 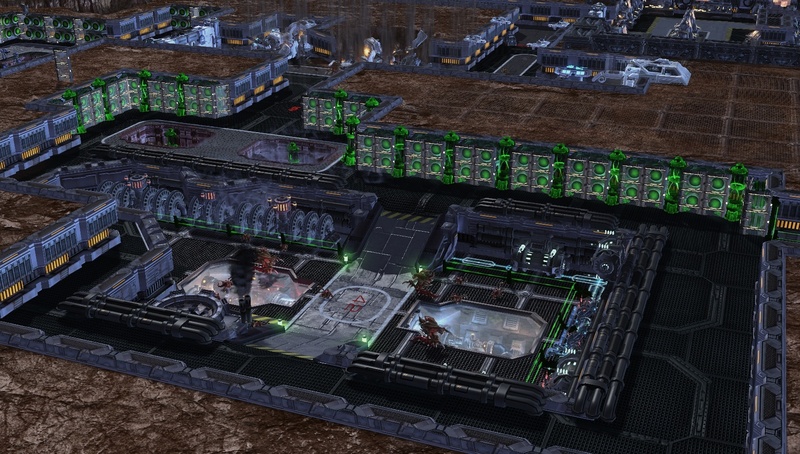 Place AntiochRemastered.SC2Mod in your mods directory. 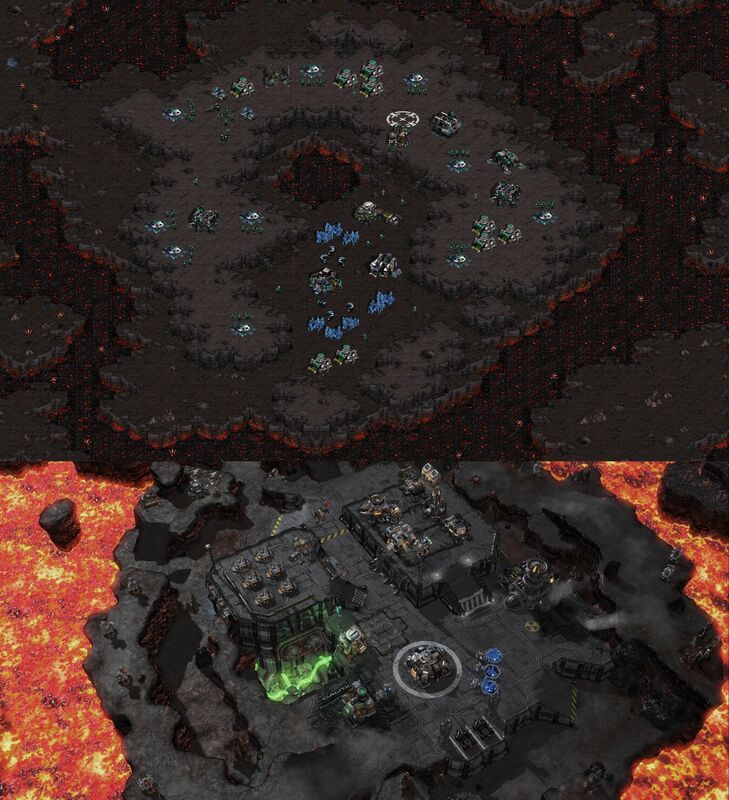 Download the StarCraft: Mass Recall mod (https://www.sc2mapster.com/maps/starcraft-mass-recall/files/130-scmrmod-v6-1-1/) and place it in your mods folder. 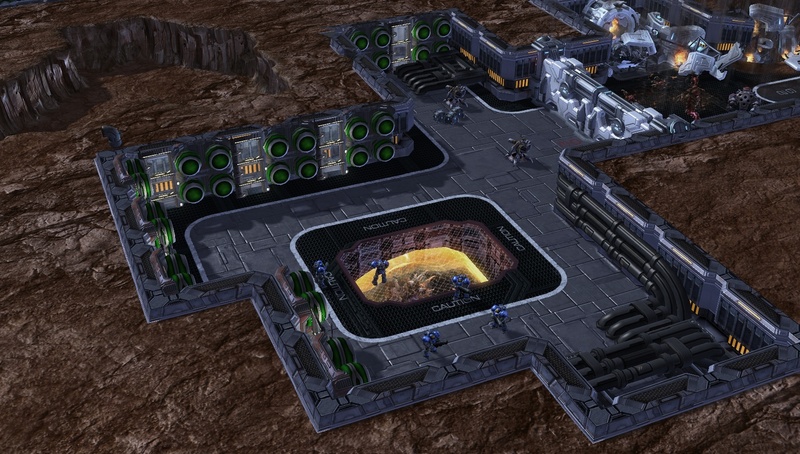 Open Antioch Campaign Launcher.SC2Map in the editor. Press the Test Document button. If you are interested in helping with this project, please see the bottom of this post. 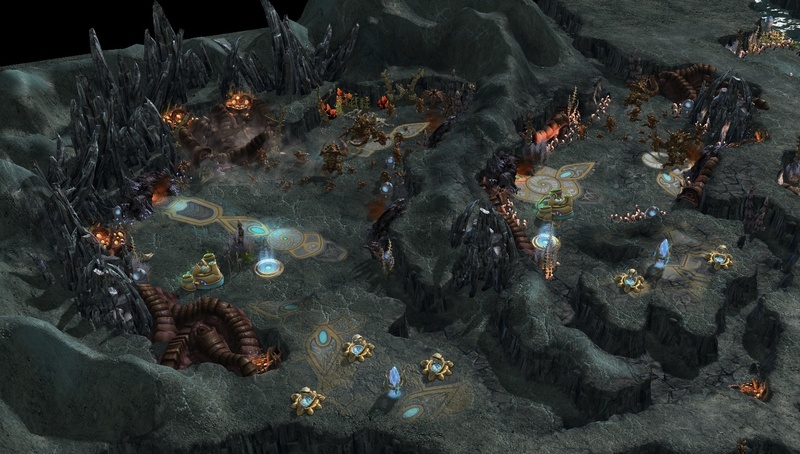 This is the release of a StarCraft 2 remake of the seminal StarCraft custom campaign known as the Antioch Chronicles. 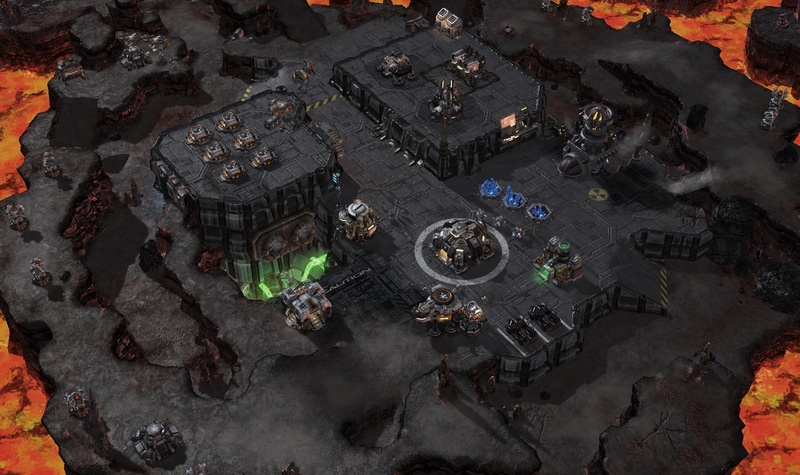 This project is a high-fidelity reproduction of the original campaign with few enhancements taking advantage of the StarCraft 2 editor. Unfortunately, a promised Episode 3 never came to fruition. 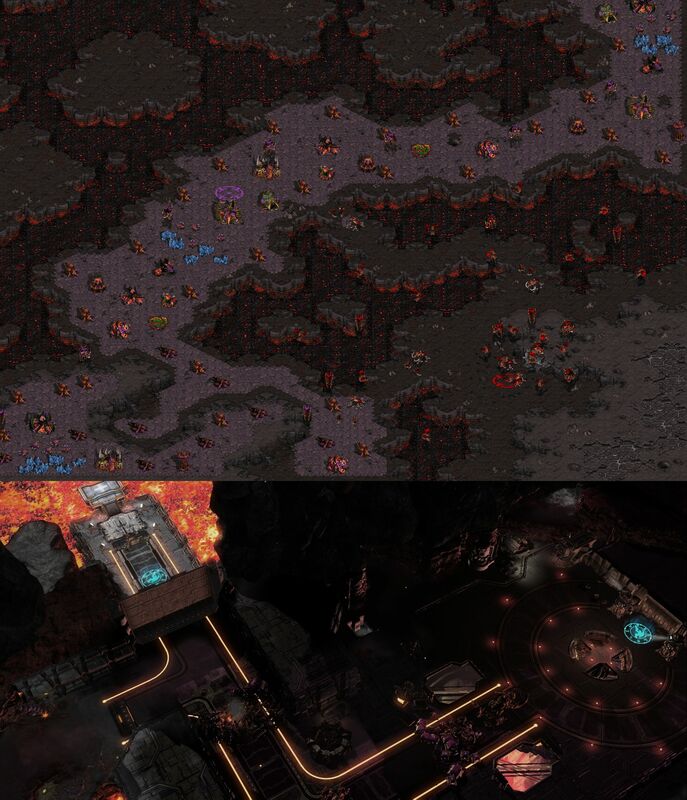 Still, the first two episodes did much to shape the early StarCraft modding community and remain in the popular conscious fifteen years later. For more information about the Antioch Chronicles, visit http://antioch.snow-fall.com/wiki.pl?The_Antioch_Chronicles . We're all longstanding members of the Antioch Chronicles fan community, which never really died out, despite the campaign's cancellation. Last month, an idle forum thread about wanting the replay the Antioch Chronicles drew a surprising amount of attention for our tiny forum and within days we'd launched the project. We could definitely use some help. The easiest thing you can do is to download the campaign and play through it, giving us as much feedback as you'd like. Balance feedback is especially welcome, as these maps haven't really been play tested in that way. If you run into trouble, typing "power overwhelming" in the chat will enable god mode for your current units and "show me the money" will give you 10,000 credits and gas. If a map is just totally broken, please just move onto the next one. We'll try to get any critical bugs patched ASAP. 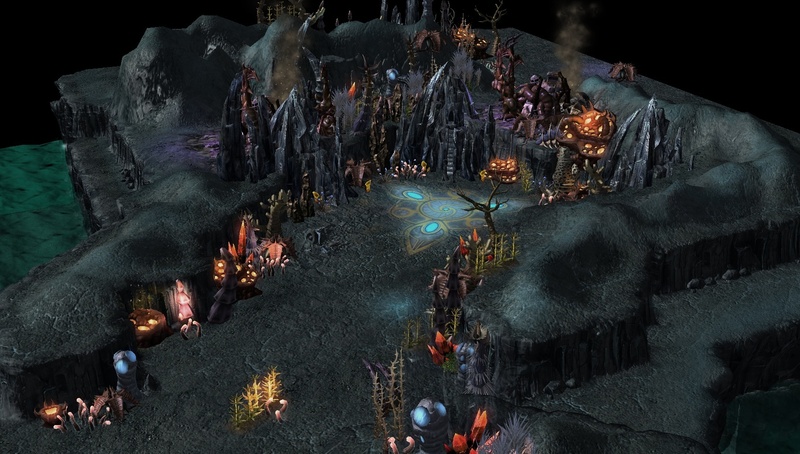 Polishing the terrain on the existing maps. Adding special effects to the maps (specifically, some explosions). Advanced trigger editing to spice up the maps. AI work to make the enemies more interesting (it's mostly just attack waves now). 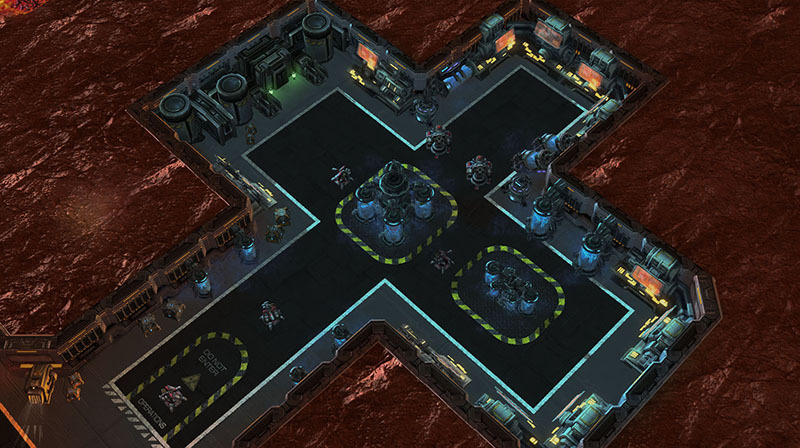 Creating new maps for phase 2 (where necessary). Getting talking portraits set up. Adding powers to hero units. Creating artwork for the logo, loading screens, map loader, and more. Anything else you want to offer. Please send me a private message if you're interested in joining the team. Team Antioch began with four members: Alevice, DarkTZeratul, dine, and Lucid Iguana. We've known each other for about a decade. Prior to this project, only Alevice had any experience in the editor, but we've proven to be quick studies. Since the release of the project, the team has grown to include Alevice, AlleyViper85, Azureguy caevrane, Cybrok, DarkTZeratul, dine, Fenix, Knallerton, Lucid Iguana, ppoentje, Triceron, wargirl, and scbroodsc2. 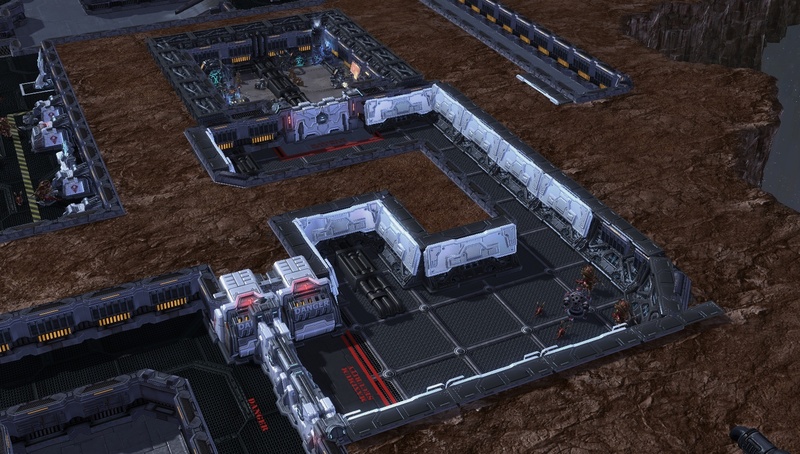 WHile the camapign has its hard moments, most of the maps are moderate in its difficulty. We intend to preserve the same level of challenge. Been a fan since forever. This is what inspired me to make campaigns. Tahnks man, I remember you citing Antioch as inspiration for Subjection, a standard we also aim towards. you can send some fat stack of cash to my bank account of course. Oh god, please test. The update I pushed this morning should have ironed out the last of the showstoppers in episode 1, so if you just download it and let us know what you think, that would be a huge help. We could use some more testers if anyone is able to help out with that :) We should be adding a pretty big milestone this weekend as well if you want to test next week. To follow up here, we did push a major update last night, so I'd recommend downloading this new version. We've made some massive improvements, including some cosmetic work, as you can see below. Your fourth screenshot looks very strange. The lighting for the static mesh objects is very bright and oversaturated compared to the rest of the scene (e.g. the heightmap terrain). I find it hard on the eyes, even. It would also appear that, while you placed many objects and decals for doodads on opposing walls, the walls facing away from the camera very clearly have no detailing whatsoever, and break the scene considerably. You should add details there to complete the scene. Additionally, I would consider turning down the specularity for the water in that second image. A sheet of white is also not very easy on the eyes nor pleasant to look at (maybe this is due to your camera angle, though). A consideration is to also brush work some textured weathering into the shoreside to reflect hydro erosion. 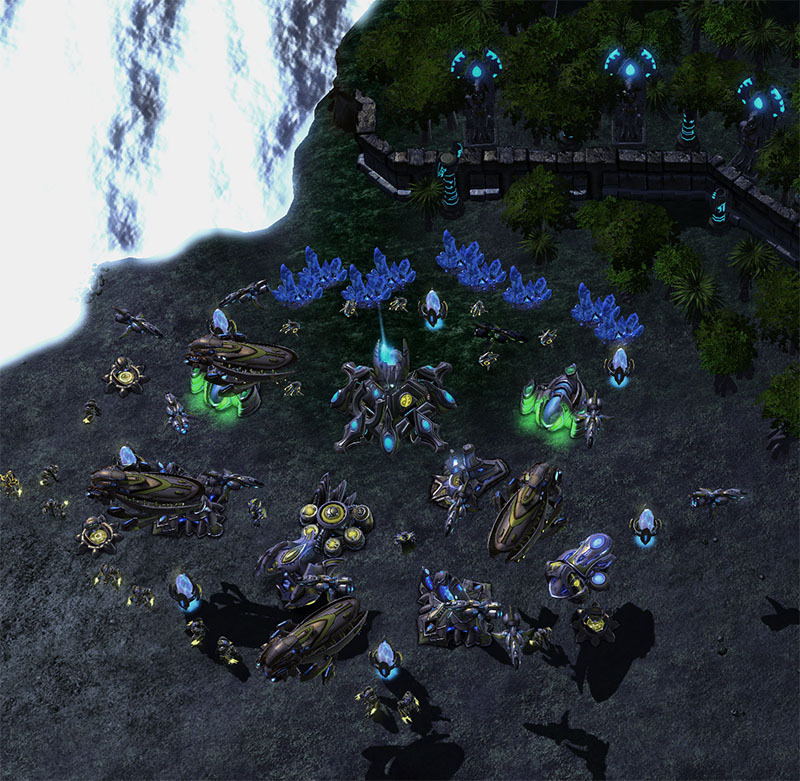 I also recommend updating Gna's carrier texture to fit more closely with the existing protoss textures. I have such an updated texture on hand, but I also updated it for my modified version of that mesh which uses player colors. If you are interested perhaps I can modify it for your needs. I have too much on my plate to give you a playtest, as I would probably spend hours per mission nitpicking details and I have a lot of other stuff to cast at the moment. Perhaps in the late future. Thank you! We definitely appreciate the feedback. The campaign is still very much in beta, so all of the maps will receive at least one more pass. If you do find yourself with some free time, we'd be glad to have you on board! Being an artist takes a lot of dedication, that's for sure. I've been modding for a very, very long time, and I'm still a long ways from trying to become an artist. I can review these screenshots I suppose. If I did a real playthrough I would record it into a series of videos, because that's how I normally do that. But, yeah, kind of got a lot going on as it is. 1 - While the white tiles appearing as sort of plates or additions to the wall is kind of a neat idea, they lack the grunge texturing of the base textures. If possible, adding some dirt to them would go a long way to helping them fit in the scene. Additionally, consider breaking up repetitious segments with smaller details, perhaps some cables or small vents. Nothing that affects the collision, just something built into the existing framework. For the floor, I was exploring the idea of making custom metal decals to break up repeating paneling, but unfortunately I wasn't able to actually test the idea. I think it still has some merit in concept. Some decals of some nature to help break up the flooring will also help, but keep them fairly minimal as the color balance of the scene is already fairly noisy and too much more can easily hurt readability. You already have some decals for the door which is great. 2 - This scene is more indicative of what I was thinking for scene #1. The objects on the walls have some variation between them. Consider adopting a standard for the decals for the doors, as this door appears to be dramatically different in labelling compared to the one in #1. The pipes in the upper corner are blocking access to the gas tanks, which seems illogical if this is where they are accessed. If the gun turrets are insinuated as being placed as defenses prior to the events, considering encircling them in decals. This was something I did with gas geysers and similar structures in a space platform map for Apex A and I felt it made them appear more like they belonged. That is to say, make the turrets a part of the environment rather than existing solely as a gameplay element standing out of it. 3 - The gas tanks appear repetitous and monotonous. Unless it's insinuated that the facility is fully stocked, consider having some empty or drained cabinets. 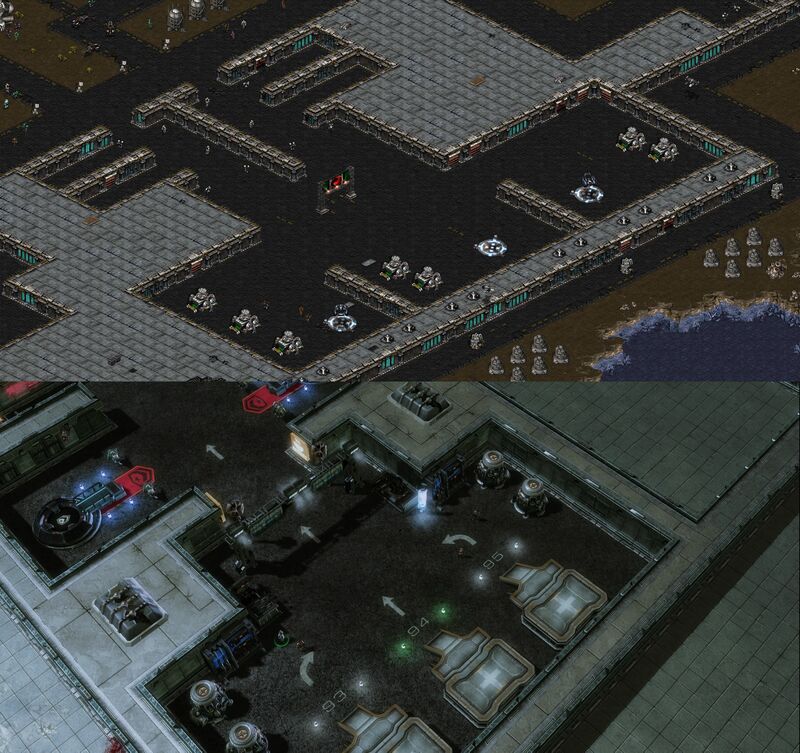 The left and right walls are comparatively bare, and I feel like something should be between the pipes to justify their entry and leaving the surface plating (which is otherwise engineering complication for the sake of complication and breaks realism). The lower level is pretty solid. 4 - I feel like the terrain texturing should be more detailed in that the cliff areas should have more weathering. The far right cliff I think symbolizes this well, but the sentiments are not fully shared with the left inner cliff. The most problematic part to me seems to be the back area in general, which has this feeling of being a bunch of random doodads taped together. This could be alleviated by working the rocks into more parts of the terrain so they feel more natural when viewed in this context, and consider that the burning charr doodads are in fact burning and are standing next to vegetation that otherwise may not survive. Using the grass more liberally to flesh out the valley will also make its appearance in the corner less unexpected. In general, I feel like the color palettes here kind of clash between the purple-orange and then the blue terrain, but you could, if you have a free texture entry, slip in something to help blend them together via the texture tiles. 5 - I feel like the compositing here is much more patient than #4 and as a result it appears much more natural. Most of my qualms about this are subjective, like how I really, really hate how heightmap mountains look like, but there's not much you can do about that. In the left far corner there is vegetation that I feel like could use some support from the ground textures. 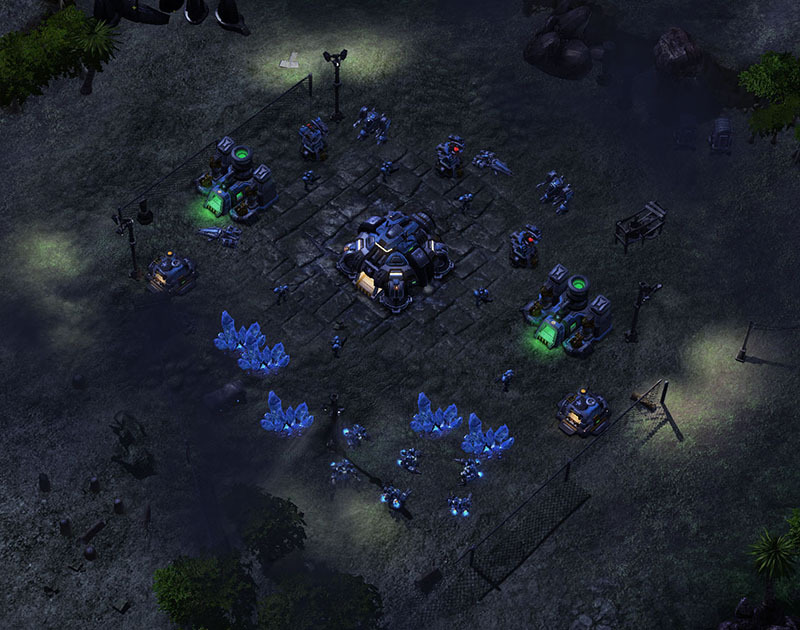 I would also consider placing very sparse amounts of creep about the zerg structures to help them fit a bit more, perhaps using some of the doodads in very small scale to give them more footing. Hopefully that helps you with some alternate perspective! I don't know if so much criticism is warranted if you are not actually testing or helping with the project. As it has been clear since the start this project is in BETA stage. Also taking a moment or an hour to come up with this at a very EARLY stage of the project is useless. Give the project more time Im sure and I hope this project dosent get judge by a few screenshots. They wanted feedback. I am giving feedback. In the modding world, "oh my god this is so amazing!!!!" is not actually considered feedback. I'm not trying to be negative, if that's what it comes off as. I don't know if so much criticism is warranted if you are not actually testing or helping with the project. As it has been clear since the start this project is in BETA stage. Pretty sure that is in fact the best time to give criticism.